There are but a handful of people throughout history that were introduced to the world by one singular name. One of those infamous few led one of the best-selling British rock bands of all time. In November of 1976, a progressive rock band was touring northeast England. The band’s American drummer, Stewart Copeland, met an ambitious singer known simply as Sting. He earned his nickname due to habitually wearing a black and yellow striped sweater. Sting was a school teacher turned musician, having played most recently in a jazz-rock fusion band. Needing change, he moved to London and sought out Copeland for a jam session. Lucky for Sting, Copeland’s band had split up and both men were eager to start something new. The duo decided to go for it and began calling themselves The Police—but decided to add a guitarist. Their first concert was in March of 1977 and it lasted only ten minutes. The band brought in a fourth member, Andy Summers, for a bit and his impact on the band was truly lasting. He was able to show and convince Sting and Copeland that the other guitarist’s lack of ability was holding them back. That member was removed, Summers was in, and the band began to flourish. Backed by £1,500 provided by Copeland’s older brother, The Police began to record their first album. While difficult to do on such a shoestring budget, Outlandos d’Amour was released in November of 1978. During the sessions, the older brother heard the initial demo of the single “Roxanne” and knew they had a hit. He sprinted to A&M Records and got them a deal. The single took off, and the album peaked at #6 on the U.K. Albums Chart and shot up to #23 on the U.S. Billboard 200. Initially, the record received mixed reviews. History however, has been much more kind to the album. It’s now looked at as one of the best debut albums by any band, in any genre. Rolling Stone Magazine has it #38 on the “100 Best Debut Albums of All Time” list and the same magazine shows it at No. 428 on the 500 greatest of all-time list. The album is diverse, spanning rock, punk, new wave, and elements of reggae. To date, the album has gone platinum in five countries and has sold over 10 million copies worldwide. 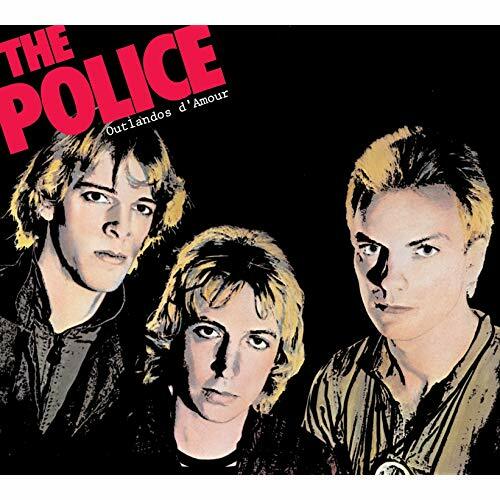 And if you think The Police didn’t slay in record sales, over 100 million albums to date. Lead singers with an immediately identifiable voice have always been popular to me. The Police’s music isn’t going to be mistaken for someone else’s and that’s a hallmark for any group. Obviously this was just the tip of the iceberg for the band. They would go on to release five studio albums, all going platinum at least four countries. The diversity of sales around the world also really shows something—that’s rare for a band to be so universally enjoyed. Each member would go on to enjoy a solo career after disbandment in the mid-80s. Sting had a very fruitful solo endeavor, and might be just as well known for his solo work as his massive contributions to The Police. Regardless, the band is typically rated in the 50-75 range in best bands of all-time. Hard to disagree with that when you look at their body of work, it stacks up against anyone. They got back together in the mid-2000s for a reunion tour and re-released their entire catalog. It was a great move as it exposed the band to the next generation of music listeners. No doubt your Tuesday will be so lonely without some tunes in your life, so why not grab hold of one of the iconic British bands in history? For the low price of $6.99, the red light of deals is going off!